For the marinade, in a large re-seal able plastic bag add vinegar, wine, soy sauce, rosemary, garlic, salt, and pepper. Close bag tightly and gently shake to combine. Add lamb roast and gently shake until thoroughly covered with marinade. Place in refrigerator to marinate for 4 to 6 hours, turning occasionally. When ready to cook, preheat gas grill to medium-high heat and lightly oil grates. Remove roast from refrigerator. In a large colander set over a bowl, transfer roast to drain, including marinade. Set marinade aside. Place roast on grill and cook for 15 minutes, covered, turning once. Remove from the grill and place on a clean, flat surface. Wrap tightly in a sheet of aluminum foil and return to the grill. Close grill cover and cook for 30 minutes or until lamb reaches 135 to 140 degrees on an instant-read thermometer inserted into middle of the roast. (It will continue to cook as it rests.) Remove from grill and set aside on a cutting board, lightly covered with aluminum foil, for 10 minutes before carving. While lamb rests, in a small saucepan add reserved marinade. Bring liquid to a boil over medium-high heat for at least 1 minute or until heated through. Remove from heat and transfer to a serving bowl. Set aside. To serve, using a large sharp carving knife, slice roast and transfer to serving platter. Serve warm with the sauce on the side. Makes 6 servings. Add a small bowl of prepared mint jelly to your table and let your guests add it to this amazing dish as desired. 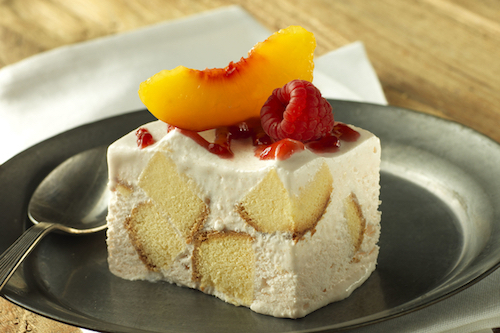 Try this easy recipe to please all at your summer gatherings. Cook elbow macaroni according to package directions; drain and rinse with cold water until completely cool. Combine Mayonnaise, vinegar, Dijon Mustard, sugar, salt and pepper in large bowl. 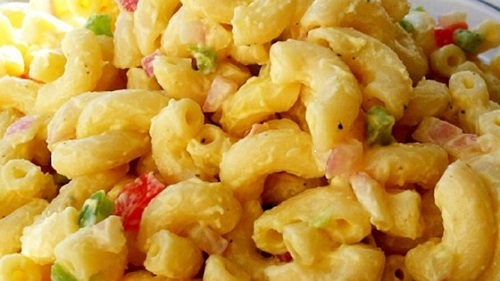 Stir in macaroni, celery, green or red pepper and onion. Served chilled or at room temperature. Scoop out avocados, leaving a small border. Dice scooped out avocado and set aside. 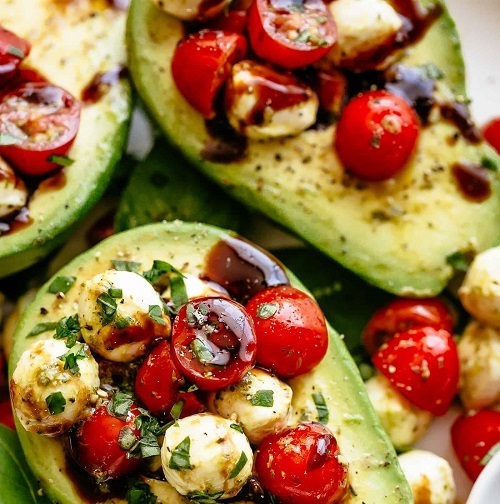 In a large bowl, toss diced avocado with tomatoes, mozzarella, Italian seasoning, balsamic and olive oil. Season with salt and pepper. Divide salad among 4 avocado halves and garnish with basil. Mix ice cream and dry gelatin mix in large bowl until blended. Stir in COOL WHIP, then cake cubes. Spoon into 8-inch square pan; drizzle with preserves. Freeze 3 hours or until firm. Serve topped with fruit. 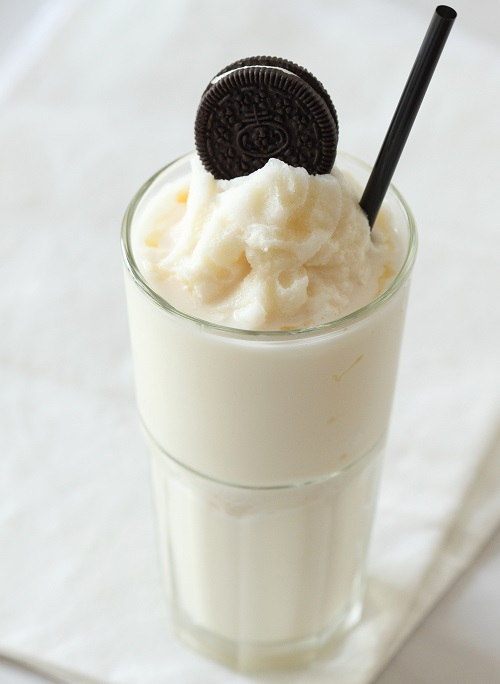 In a blender, combine ice cream, milk and vanilla extract. Pour into glasses and serve.